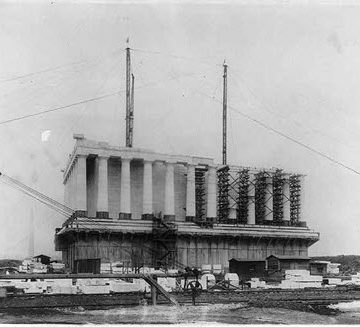 The Lincoln Memorial under construction. 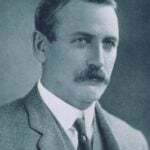 May marks the anniversary of the birth of James Baird (May 18, 1873–May 16, 1953), an American civil engineer whose career accomplishments included New York City’s Flatiron Building, the Lincoln Memorial, the Tomb of the Unknown Soldier, and the National Cathedral. James Baird was born in Vanceburg, KY, on May 18, 1873, the son of farmer and merchant Lyman Beecher Baird. The Baird family left the area around 1888. James and his older brother, Charles, moved to Chicago with their mother so they could attend college while their father sought opportunities presented in Kansas and Oklahoma, what was then the new West. Baird studied civil engineering at the University of Michigan and received his bachelor’s degree in 1896. While at Michigan, Baird played quarterback for the football team from 1892 to 1895. 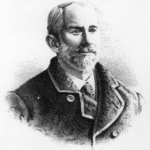 Charles, later to become a noted Kansas City banker, was the manager of the 1894 and 1895 football teams at Michigan and later became the university’s first athletic director. After graduating, James Baird served as an assistant football coach at Michigan from 1897 to 1898, including for the 1898 Michigan team that won the school’s first conference championship. 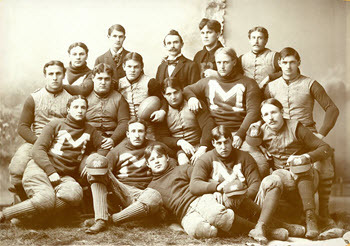 James Baird (holding the football) was a quarterback for the University of Michigan football team. Baird began a successful career in the construction industry through a lengthy association with the architectural firm George A. Fuller Co. 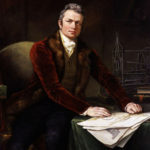 This firm was a leading builder of skyscrapers, and is credited as the inventor of the modern contracting system. Fuller’s firm was different from architecture firms of the time, in that it intended to handle all aspects of building construction except for the design of the building, which would come from outside architects. In this way, Fuller created the modern concept of the general contractor. 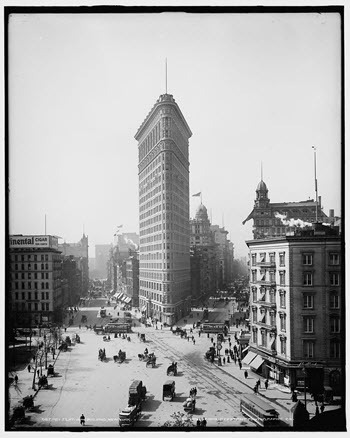 In 1899, Baird began working for the Fuller Company in New York City and directed the erection of the revolutionary 22-story Flatiron Building, the first steel-frame skyscraper in New York City. Designed by Chicago architect Daniel Burnham, the vertical Beaux-Arts style was a notable departure from the earlier New York City block-and-tower-variety skyscrapers. Originally known as the Fuller Building, the Flatiron Building has been called one of the world’s most iconic skyscrapers, and a quintessential symbol of New York City. Upon completion in 1902, it was one of the tallest buildings in the city and one of only two skyscrapers north of 14th Street. Baird rose through the ranks of the company to become vice president in 1910 and president in May 1922. While working with the Fuller Company, Baird supervised the construction of the Lincoln Memorial and the Arlington Memorial Amphitheater in 1916, the Commodore Hotel (New York City) in 1919, the Tomb of the Unknown Soldier in 1921, and the Freer Gallery of Art (Washington, DC) in 1923. During World War I, Baird volunteered to construct quarters for the U.S. Army to house up to 30,000 men. In 1925, he left Fuller to form his own firm, the James A. Baird Co. Inc., which he headed until retiring in 1937. Among the prominent construction projects by Baird’s firm were the Internal Revenue Building in 1926, the dome at St. Bartholomew’s Episcopal Church in 1930 (New York City), and the Folger Shakespeare Library in 1932 (Washington, DC). For 15 years Baird oversaw portions of the construction of the National Cathedral, in Washington, DC. 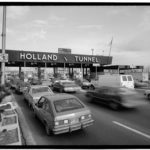 His final projects included construction of a swimming pool in the White House at the request of President Franklin Roosevelt. 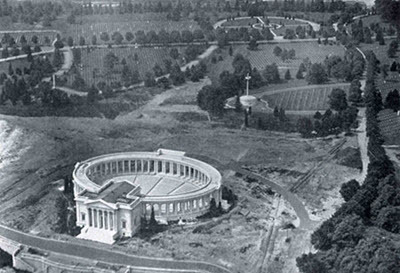 Baird supervised construction of the Arlington Memorial Amphitheater. In 1939, Baird donated 590 acres of land to New York State, under the stipulation that it be known as James Baird State Park. His success allowed him to acquire the manor house of the original 1697 Dutchess County Beekman land grant, and he subsequently obtained several parcels that surrounded the manor. The park that was created from the land he had amassed includes the James Baird State Park Golf Course, which was designed by nationally renowned golf architect Robert Trent Jones and opened in 1948. On May 16, 1953, James Baird died in Tucson, AZ, after a brief illness, two days shy of his 80th birthday. He is buried in the Baird family plot at Oakwood Cemetery in Chicago.